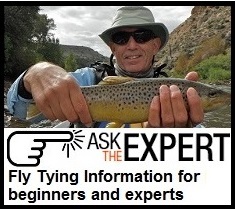 This section is to help you get started with the right stuff or perhaps introduce a friend to fly tying. Sharing tying with a friend is gratifying and can accelerate both your learning curves. Please note, there is a great amount of tying tools, materials, and opinions available. You’ll find a lot of the former two in our print, and on-line catalogs. We encourage you to explore them for our other options. We have expert advice to help you sort it all out.